Dr. Blair S. Lewis always appreciates feedback from his valued patients. To date, we’re thrilled to have collected 353 reviews with an average rating of 4.94 out of 5 stars. Please read what others are saying about Dr. Blair Lewis below, and as always, we would love to collect your feedback. Incredibly knowledgeable, very timely with appointment, very kind and personable - will provide confidence and a sense of well-being - in short, one of the very best. I had a great talk with Dr. Lewis. I feel fully prepared of the procedure on March 15. Completely satisfactory. Dr. Lewis listened, understood, diagnosed, and helped me with my home care. Dr. Lewis addressed my questions and concerns by providing me with clear explanations and suggestions. Dr. Lewis shared his expertise and experience which has been invaluable to my health and peace of mind. I had a great experience from start to finish with Dr. Lewis and his office. A close friend who is a world-renowned surgeon who specializes in gastrointestinal issues and insists on a careful, thorough physician to perform a colonoscopy referred me to Dr. Lewis. It was easy to make an appointment with Dr. Lewis, the office is very nice and the office staff is lovely, and I was taken promptly and did not have to wait. Dr. Lewis is extremely friendly, warm and patient and answered all of my questions. He listened with great interest to my medical history. He discussed the procedures he would perform with clarity and the preparations for the procedures with great specificity mixed with a good sense of humor. I would highly recommend Dr. Lewis. Relaxed, informative and clear. Mr Lewis gives professional clarity to the consultation which leaves one with confidence and peace of mind. Excellent professional service. Great experience, addressed all my concerns and more. Would wholeheartedly recommend! 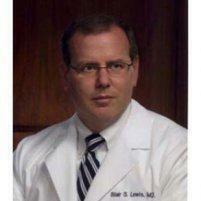 I have been a patient of Dr. Lewis' for several years now and appreciate his level of care and consideration. I have never felt rushed and my questions have always been answered. Dr. Lewis is so easy to talk to, and made the process so simple... very efficient and friendly staff. Professionalism from start to finish! Efficient, professional, good explanation, no issues left unresolved. Dr. Lewis made an important decision about my need for surgery much easier for me. He is attentive in listening and makes you feel relaxed. I appreciated his calm friendliness. I look forward to going back to his office for all my future GI care. He is more than 5 star. The office is run in an efficient manner, where appointment times are honored and the materials they give you are clear and succinct. 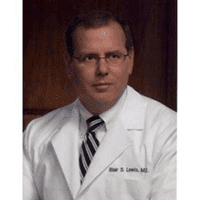 Dr Lewis is an excellent, knowledgeable and caring physician who takes a great history, has great insights and recommendes appropriate courses of action. I walked out with a smile. Dr. Lewis is the top in his field. And yet, what a human being! So real. So smart. So patient. So nice. Off the charts! 10 stars. Warm and comforting and informative. On or ahead of time, attentive, sympathetic, and a source of the information and explanation and reassurance about it that I am looking for. Easy to reach.